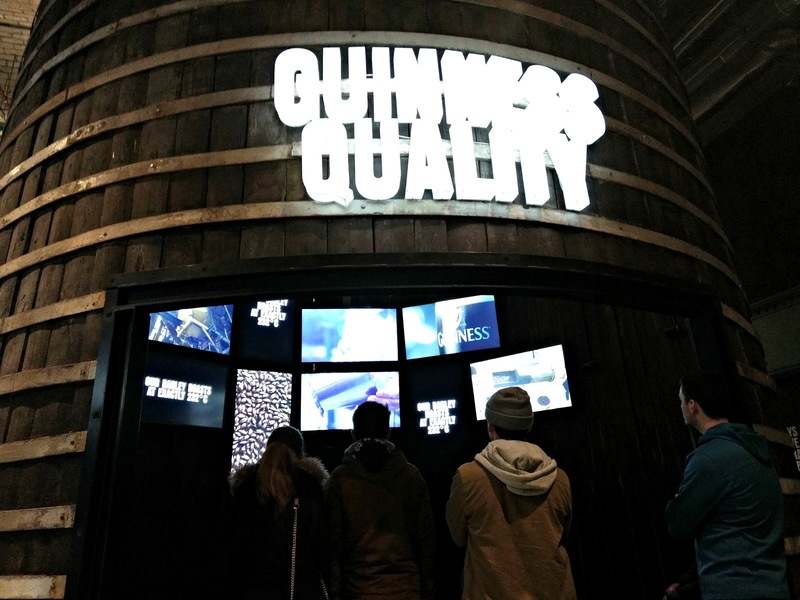 My Guinness Storehouse Experience | Albatroz & Co. 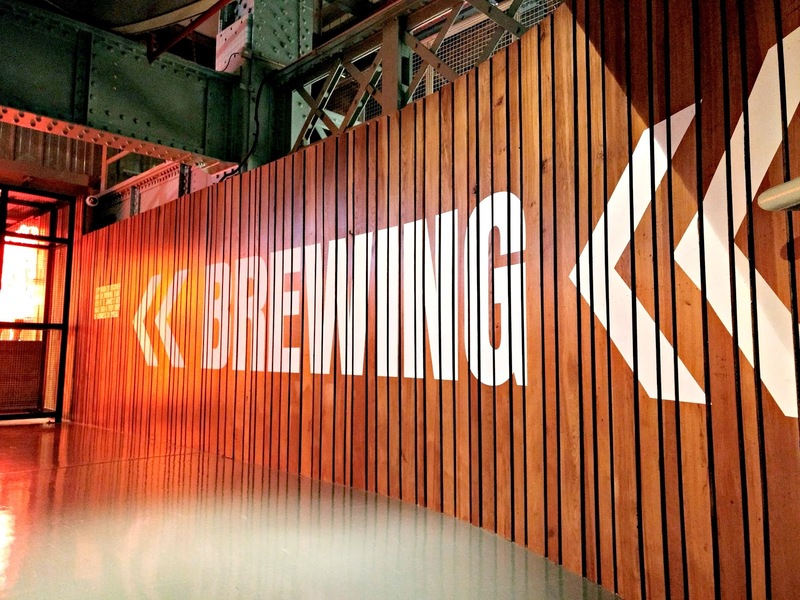 The Guinness Storehouse is ranked Ireland's No. 1 tourist attraction and up until last week Thursday, I'd never set foot in it. This is not a sponsored post as €17.50c came out of my own pocket for the ticket and the Storehouse, unsurprisingly, have no idea I will be writing about my visit. With that disclaimer out the way, shall we dive in. 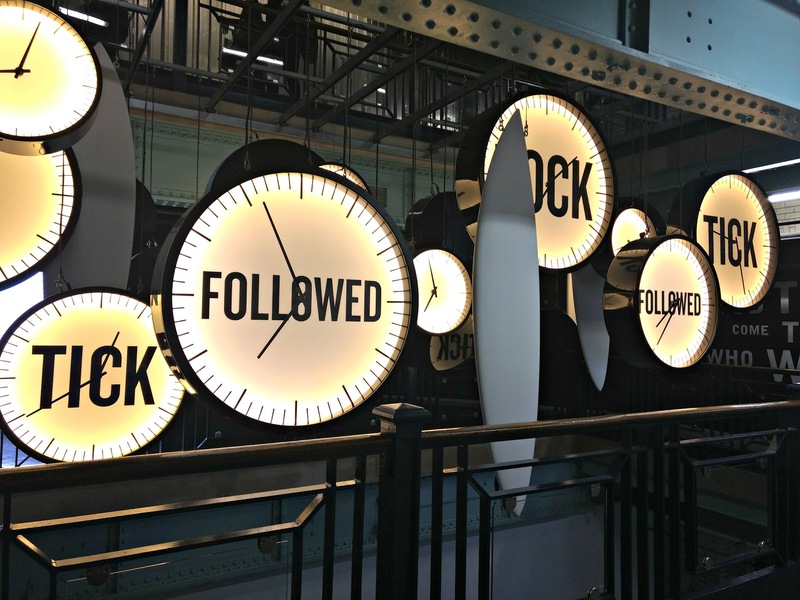 Visiting the Guinness Storehouse is something I wanted to do sometime last year as a part of my Discovering Ireland blog series where I aim to share my Irish travels. Being an immigrant to the country there's still so much I have to learn despite having lived here almost eleven years. I visited the storehouse with friends and it served as a great way to fill the day learning something new and catching up with each other. It's also a great date idea for when you get to meet your bestie's boyfriend for the first time! At €17.50c student discount I think the tour is quite reasonably priced. 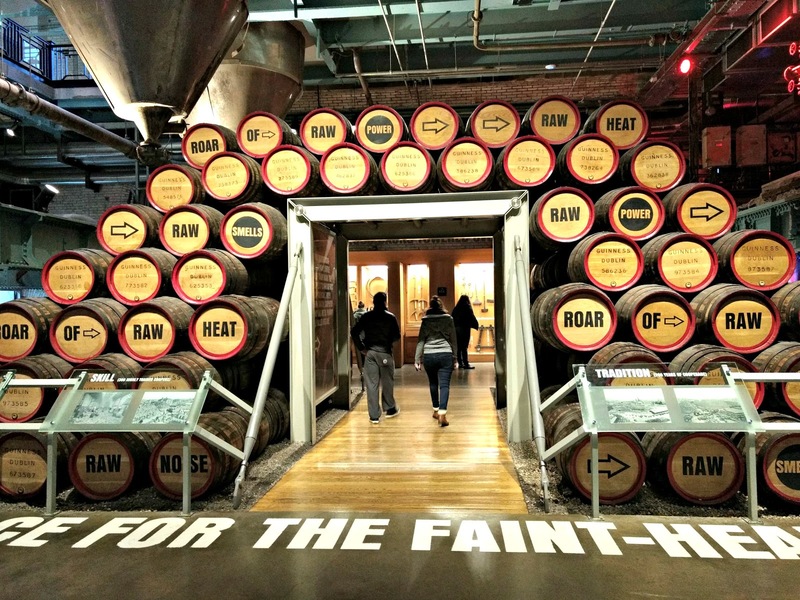 The factory holds a lot of history and information about the Guinness factory and the people that built and continue to keep it thriving today. There are also certain times throughout the day where adult tickets, when booked online, are €17.50c. They're not all awkward early hours either, when we visited I checked the adult tickets and afternoon times between 15:00 to close and around12 noon were the same as student prices. Up until turning up to it's gates, I had no idea where the Storehouse tour location was. I mean I'm pretty sure I saw one of it's gates along the quays on my way back from my the Cliffs of Moher tour but I don't know if I'm right about it even now. With the help of Google maps I was able to find it with no issue from the bus stop on James Street, Echlin Street. Buses 123, 40 and 13 all stop there. Other buses may also pass near by with a short walk to make it all the way. My friends who walked from Dame Street, City Centre did it in about 35-40 minutes so cycling would be maybe half that time. Walking up to te building I felt and thought I was definitely getting lost but once you see one of those infamous Guinness gates, you'll know you're going in the right direction. Hopefully you'll have a less foggy day so things will be a lot easier to see. 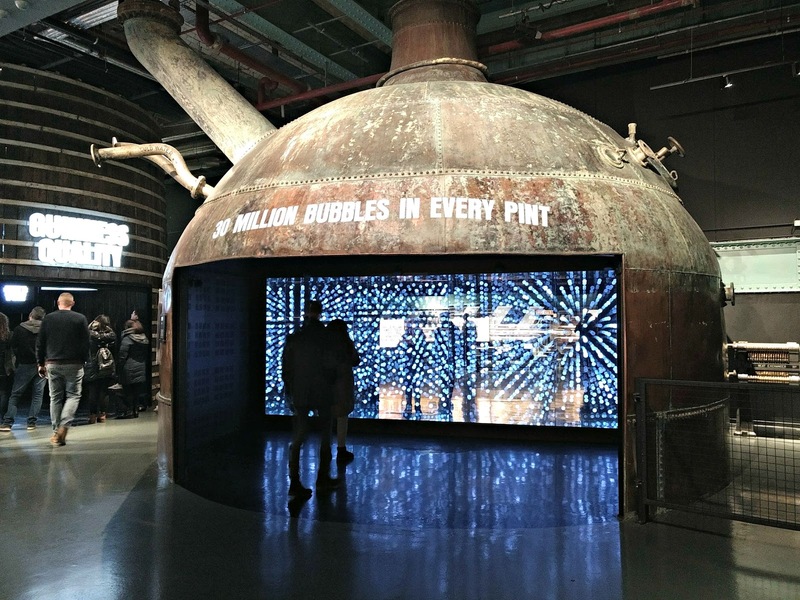 The Guinness Storehouse has a very easy to follow layout with information all over the place on the walls or via interactive screens. A part of me wishes we had been a part of a group tour because I feel like a lot more of the information would've gone in if I had someone telling me instead of moving along. I'd have loved to read every single piece of information available but I was far too conscious of holding behind my group of friends and then the other group of people who started their tour at the same time at us. If you're planning to visit and actually learn about the factory, I'd recommend giving yourself lots of time to be able to stop and read or watch all the little bits of information available to you. They are all quite interesting too. Maybe go alone or bring someone who is will be just as interested or willing to wait around on you. There are lots of fun facts and mad bits you pick up like Olivia Guinness having 21 kids therefore being pregnant for 16 years! 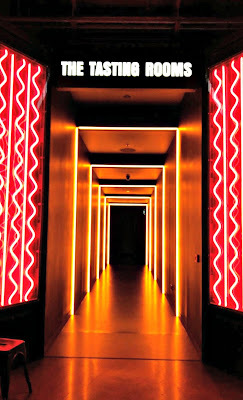 Or equally fascinating as the one above. After going up what feels like five floors, you arrive at the 2nd floor for your tasting. 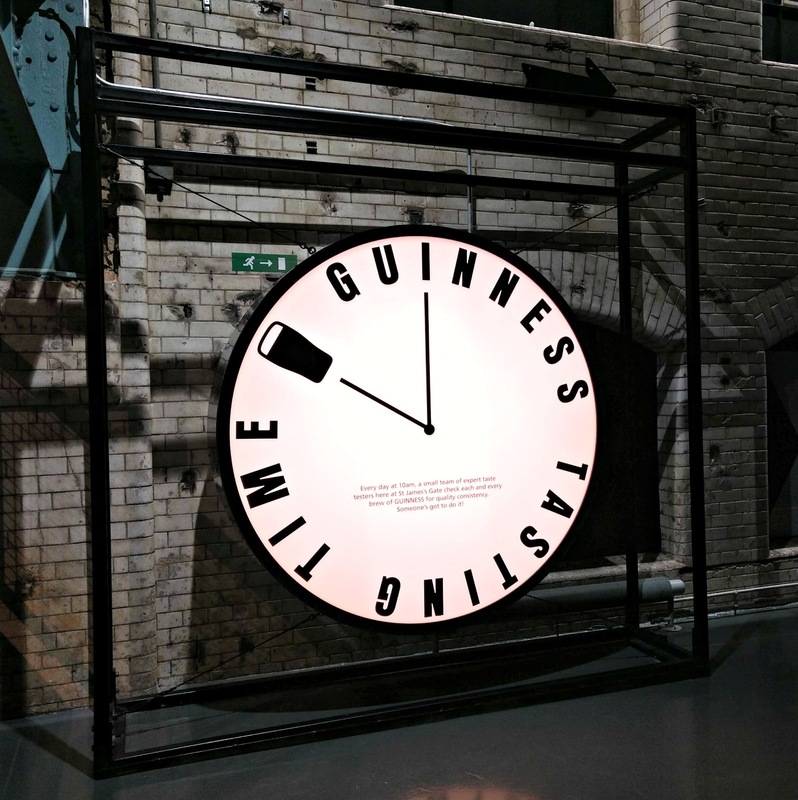 In this part you get to smell some lovely and some not so lovely vaporised air and you have a rep to give you some fun facts and a little more history about Guinness. 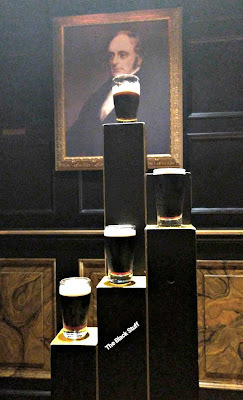 You may be queueing about 2-5 minutes for there to be enough people to become a tasting group but it's totally worth the little shot of Guinness you get and you also get to learn how to drink Guinness the right way. Yup, there's a rihght way to drink Guinness, who knew? 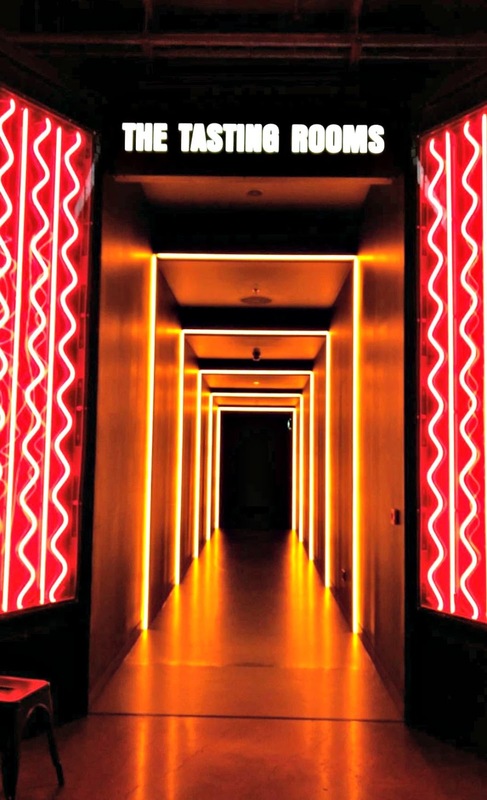 As this is the last part of the main tour, you'll have an option between using your voucher attached to the ticket on the 4th floor where you learn to pull your own pint or the 7th floor which occupies the gravity bar. Needless to say we chose the gravity bar wanting to see these "breathtaking" sites of Dublin City. Unfortunately for us, we chose quite a foggy day to visit and so I have absolutely no pictures or idea what the site would've looked like. However I was not disappointed. Up in the gravity bar soaking up the lively atmosphere of tourists and locals like ourselves, as well as our complimentary pints of Guinness and Hop House 13, the day couldn't have been more perfect for us.There were even Shamrock shapes on top of the Guinness pints! I didn't think a pint of Guinness could get any more Irish. We ended it off with a trip to Bunsen for some dinner and even now thinking about that day brings a sense of fondness for my friends and the memories we're making together. I certainly wouldn't turn down another opportunity to visit the storehouse to take in some more knowledge and besides, I need to have my breath taken away by the amazing views from the 360° gravity bar. 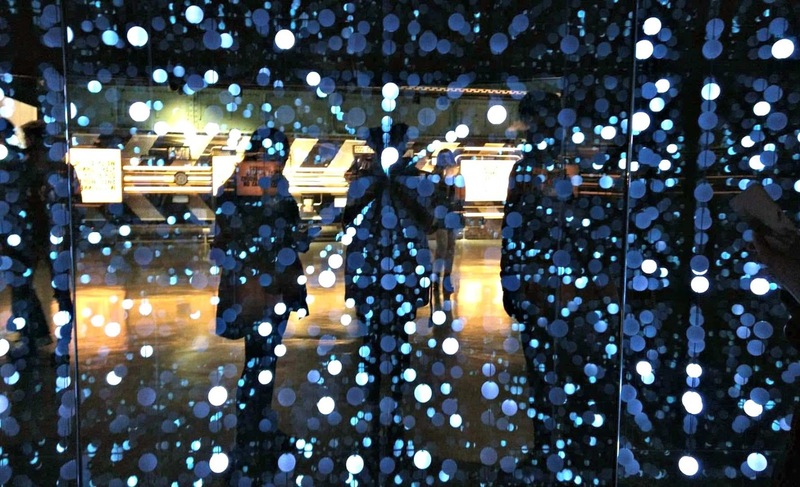 Have you ever been to the Guinness Storehouse? What was your experience like? Don't forget to grab your pin before moving on to the next post.